World Chocolate Day - Creative Ways You Can Use Chocolate In Your Wedding! In the honour of world chocolate day, we bring you Creative Ideas on how to Incorporate Chocolate In Your wedding. For all those Indian Chocoholic Brides, this International Chocolate Day, this blog feature goes out to you! Chocolate is not just a taste but an identity! If you’re an Indian chocoholic and you want to include the chocolate colour palate in your Wedding Invites, here are some Ideas to help! White or black? Why not both? Are you fond of your environment? Do you want to send a message too on your wedding day? Send a tasty message to save our environment with this chocolate log cake on your wedding day! Towers of chocolate coated cake pops, or chocolate covered fruits and other goodies can make up your wedding cake this season. Why not be a little creative? Stack up those Oreos for a DIE HARD wedding cake on your special day! Watch your guests rampage for the many cookies. BEWARE OF KIDS! You cannot go wrong with chocolate centre pieces, especially for the table. Kids, auntyji's, your cousins alike will love some chocolate covered strawberries arranged like a bouquet! Chocolate wedding Favours are my preferred darlings! These little devils look incredible on spoons, in jars, in your hand as you sneakily take out many rather than one! Want your guests to really appreciate your wedding? Keep a good supply of assorted chocolate inspired wedding favours to keep them happy and engaged. Fancy a whole chocolate bar at your wedding? Lay out assorted styles of dark and white chocolate for your wedding guests to choose from! 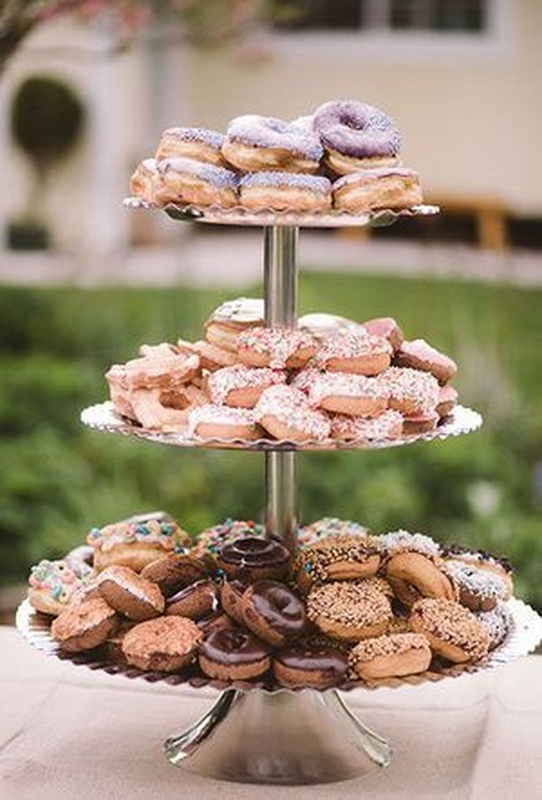 Let’s make your dreams come true this season.... make the doughnut meet the Chocolate to have a BLAST at your wedding! This idea is to purely make you chocoholic Brides truly enjoy your wedding. You can add fruit and berries for more drama on the palate. Personalize a mini milk and cookies bar for the children at your wedding. Since the adults will be sippin' on some Sangria's, why not create a little something for the kids to be entertained to? !